Figure 6. The adapted 2003 Masterplan proposal, after the listing of the hilltop features by Historic Scotland. The redevelopment proposals for the Bannockburn Battlefield Memorial Site now retained the hilltop scheme and rotunda, with the proposed new visitor centre and tower repositioned. 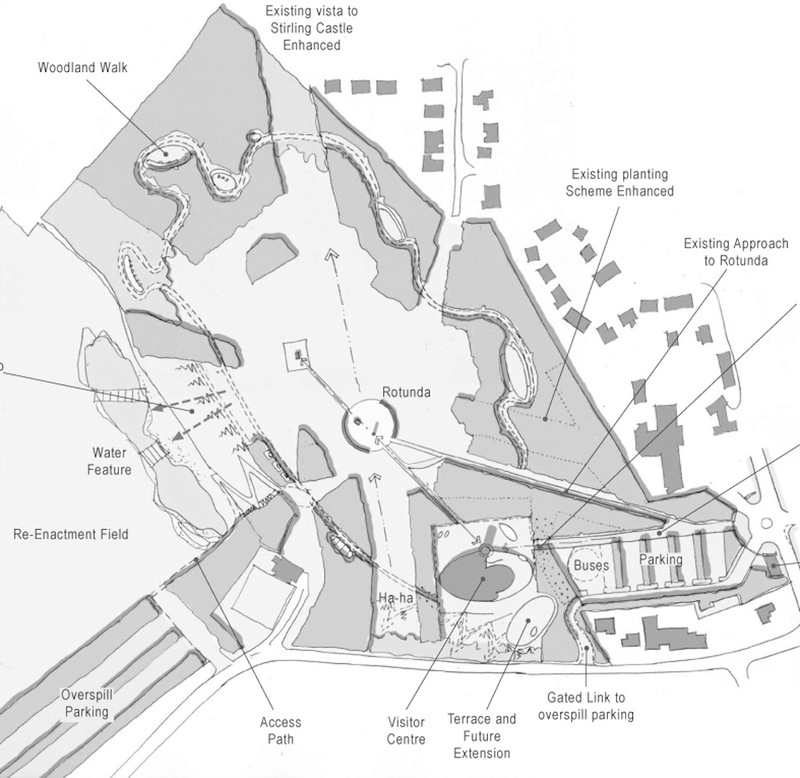 The Landscape Masterplan was more refined, loosing the more formal saltire layout of the first proposal (Allan Murray Architects and John Richards, 2003).